The hard-fought rugby match was a double celebration for the Taranaki team, who secured the shield and cleared relegation danger. They defend in New Plymouth against Hawkes Bay this coming Sunday, in a little west coast versus east coast rivalry. A parade from downtown to the Stadium—with a predicted 35,000 in the stands—will allow proud locals to celebrate the team. 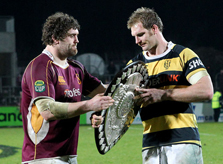 Taranaki last won the shield 15 years ago...to the day of today's win. Congratulations guys, and keep your foot on the gas! TAG Oil’s logo “proudly” displayed. 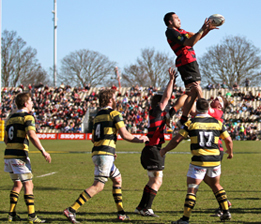 Ash Parker takes the ball from a lineout for Canterbury, in Saturday’s ITM Cup drubbing. A happier result for team Taranaki in yesterday’s Ranfurly Cup game. 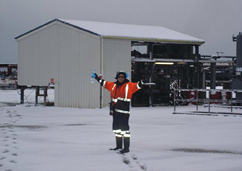 A gas tie-in primer from TAG Oil COO Drew Cadenhead P.Geol. 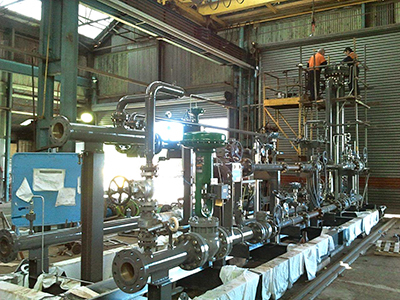 LTS Skid: This is the guts of our process. 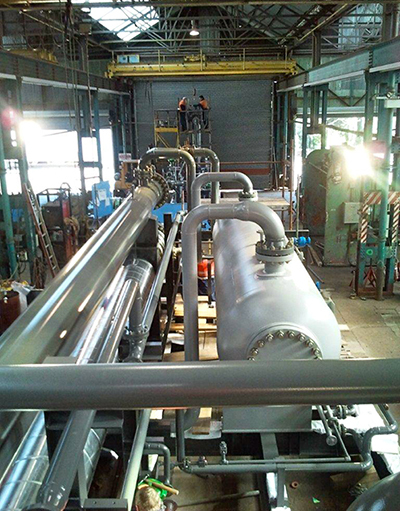 The LTS skid is where we send our high pressure rich gas and it flows through a JT (Joules Thomson) valve. Through this JT valve there is a significant pressure drop, and in turn the temperature drops as well. 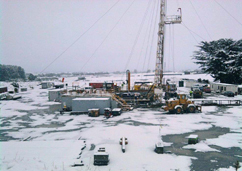 The temperature drop causes liquids entrained in the gas phase to drop out. 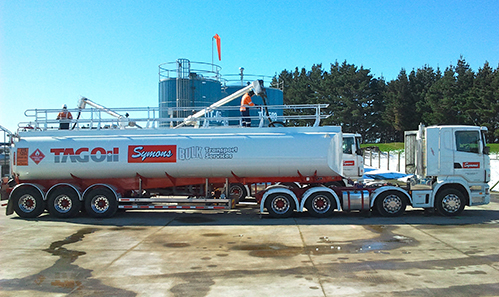 These liquids, once dropped out, remain stable in liquid form and are shipped to our tanks. 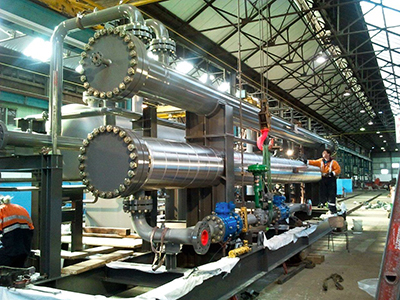 Gas-to-Gas Exchangers: The gas-to-gas exchangers on the skid help with the JT effect, where the two gas streams flow past each other in separate tube bundles. Gas Export: This is the cash register. 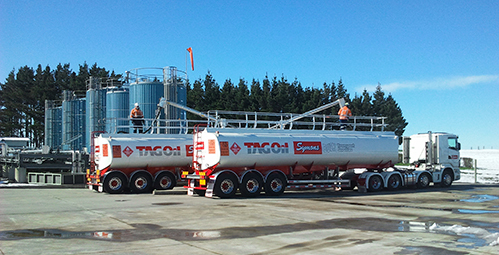 We have a gas coalescer vessel on the skid to ensure we don’t flow any debris or liquids through our Coriolis meters. All that’s left then is gas, and the Coriolis meters measure the flow volumes that TAG Oil gets paid on. Vector Hot Tap: Not much to look at, this is the entrance point for TAG Oil gas into the Vector system and then onto sales. 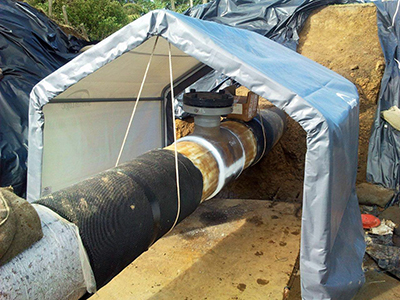 Vector can’t take a transmission line out of service for a tie in, so the hot tap is a high pressure, live tie in. TAG’s tie in work is being done with large amounts of Vector gas flowing through the line at high pressure. During the 2011 fiscal year TAG's production rate averaged 413 barrels of oil equivalent (BOE) a day. Current production is now at approximately 950 BOE a day with a ramp-up of more than 5,000 BOE per day as TAG brings "behind-pipe" production online over the coming months. Now that's what I call a serious production growth curve. This kind of growth doesn’t happen very often to oil companies, but it does happen once an awhile and for TAG, this is our time. Really amazing when you consider we've just begun our exploration cycle in earnest. Once the new Sidewinder production facilities and the Cheal facility upgrade are completed we can get the new babies into full-time production and start hitting these numbers.